We’ve all heard of Kendall and Kylie’s collections for companies such as Pacsun and Topshop. Well, Now Kendall and Kylie are launching their own online fashion shop called Kendall+Kylie! 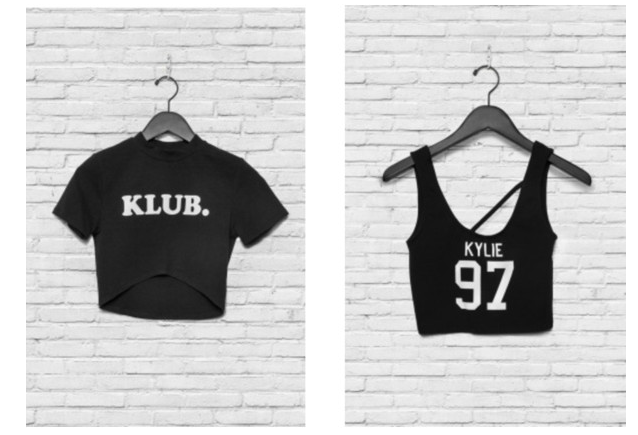 The Kendall KLUB top and 97 TANK from Kylie. Their tops were first priced at $42 but lowered to $28 soon after! They offer International shipping so make sure you get yourself to kendall-kylie.com!